A section of a long-distance trail through the Yorkshire Dales has been opened up to wheelchair users and families with young children. The facelift of part of the Dales Way by the national park authority extends a stretch alongside the River Wharfe that was upgraded a few years ago. Phil Richards, the authority’s area ranger for Wharfedale and Littondale, said: “The Dales Way is an important recreational route that runs through the national park from Ilkley to Bowness-on-Windermere and it is very popular all year round. “A section of it, running north from the Red Lion pub in Burnsall and finishing just before Loup Scar, was improved for wheelchair access some years ago. The work was funded by Dales Integrated Transport Alliance and was inspired by wheelchair user and Craven College teacher Jack Morgan, who said: “It was great to see the improvements that have been made to the footpath at Loup Scar. “It has opened up the accessibility of a beautiful stretch of the River Wharfe, enabling people regardless of their mobility to visit this picturesque location. Work has also finished replacing the decking, handrails and ramps on the historic Hebden suspension bridge, which is more than 130 years old. Funding for the repairs was by way of a kind donation from an individual via the Dales Way Association. Mr Richards said: “It’s a popular crossing that attracts thousands of users every year walking the Dales Way and all those feet have worn the oak decking boards down. Other work recently completed on the Dales Way includes the replacement of Woodhouse Bridge at Hartlington, The bridge, which was installed by Royal Engineers more than 30 years ago, was showing signs of rot and needed to be replaced. 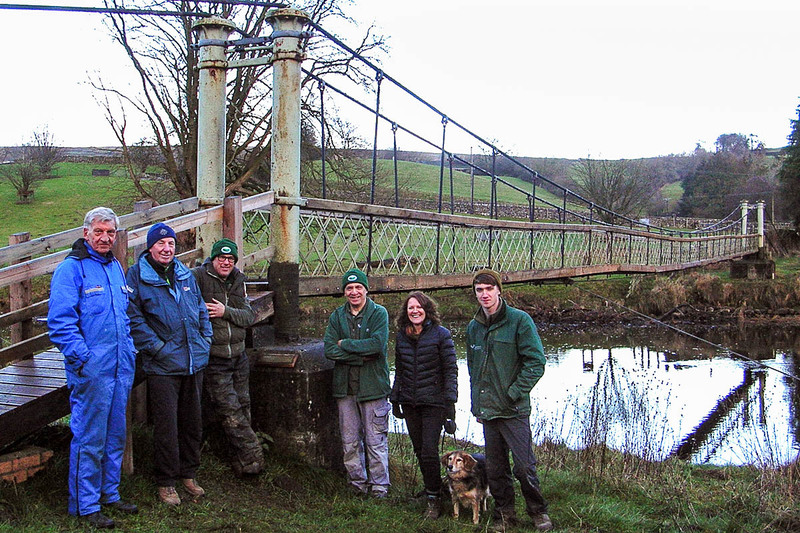 Local contractors carried out the work on behalf of the national park authority and replaced the existing bridge with a new, higher specification crossing making it easier for people to access. The YDNPA ranger service said it is committed to maintaining public rights of way throughout the national park and appealed for contributions from others to help and support the work it carries out. Anyone wanting more information can contact head of ranger services Alan Hulme by email. mailto:alan.hulme@yorkshiredales.org.uk.